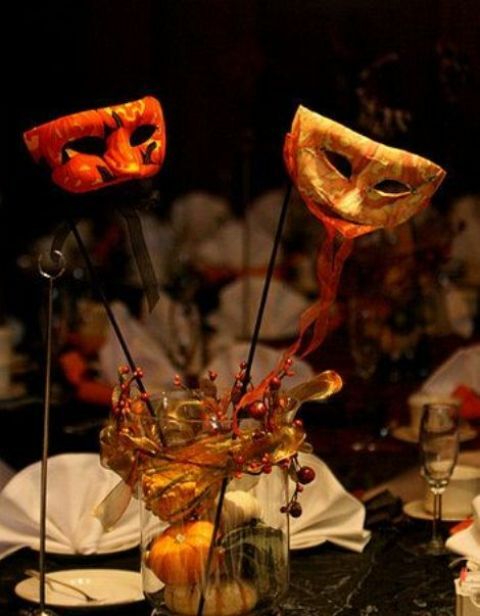 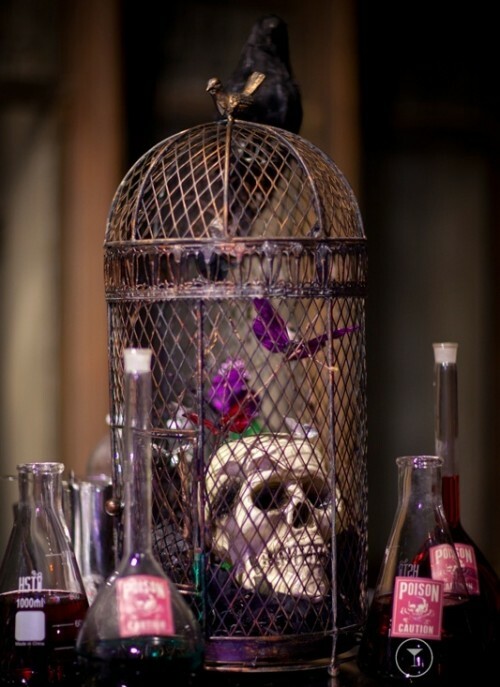 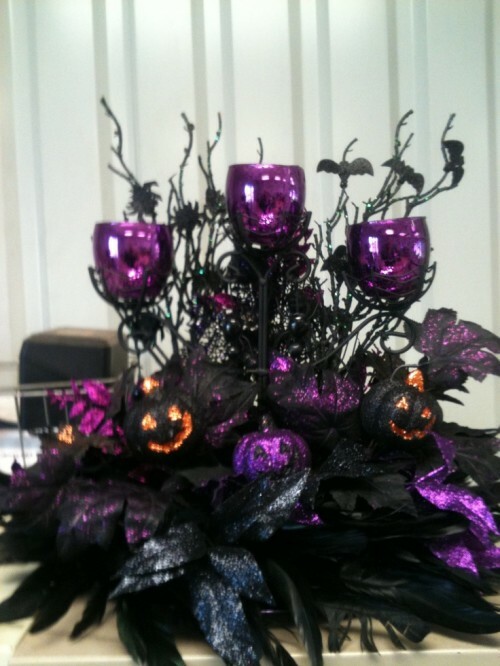 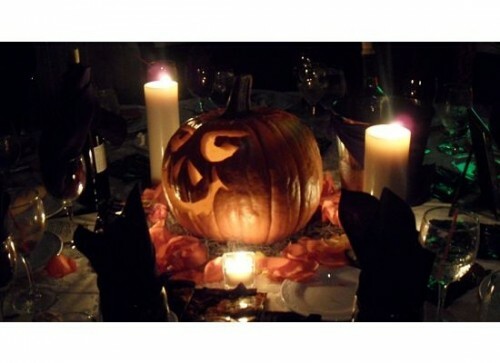 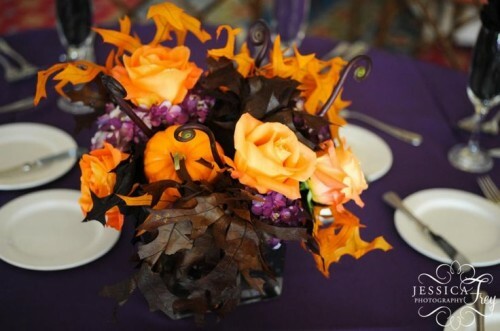 A Halloween wedding centerpiece can be decorated with skulls, snakes, pumpkins and so on but I’m sure that a more traditional floral centerpiece but in dark gloomy or contrasting colors looks not worse. 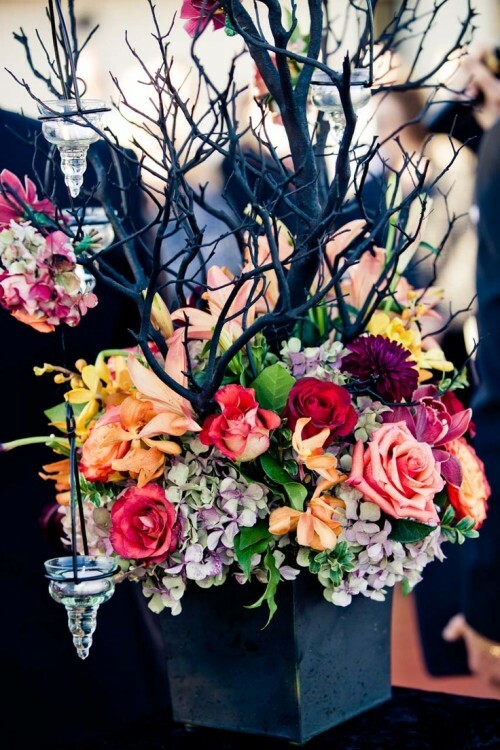 What flowers can you choose? 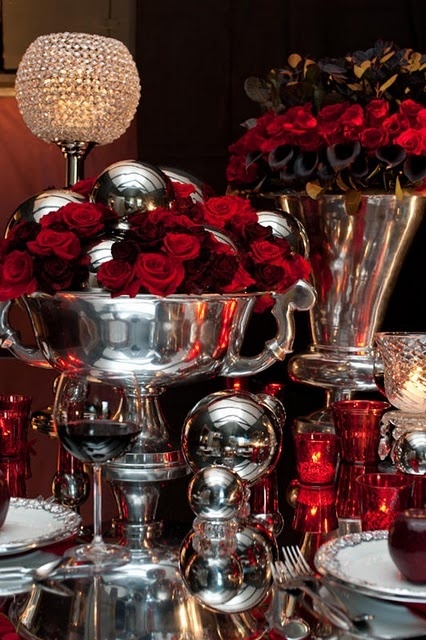 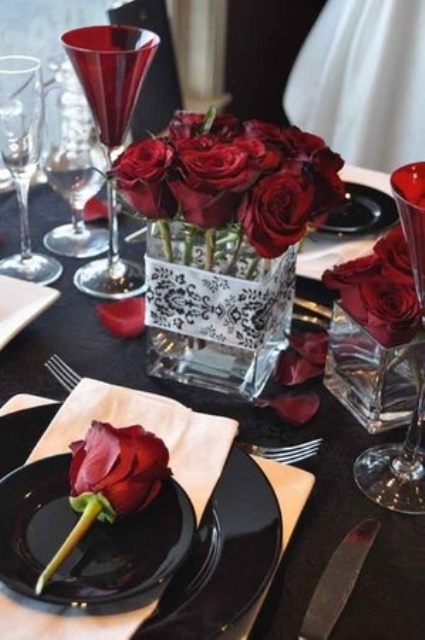 Roses, calas, and many others – but choose dark colors and shades or contrasting ones like red and white. 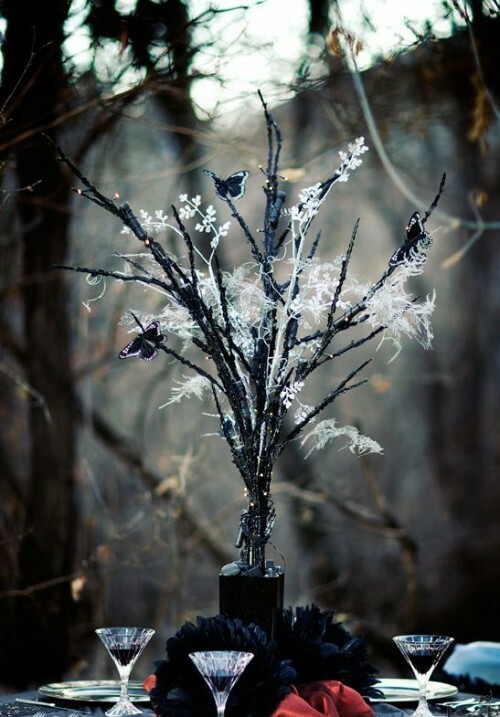 And I think, all the Gothic ideas are suitable and would look amazing. 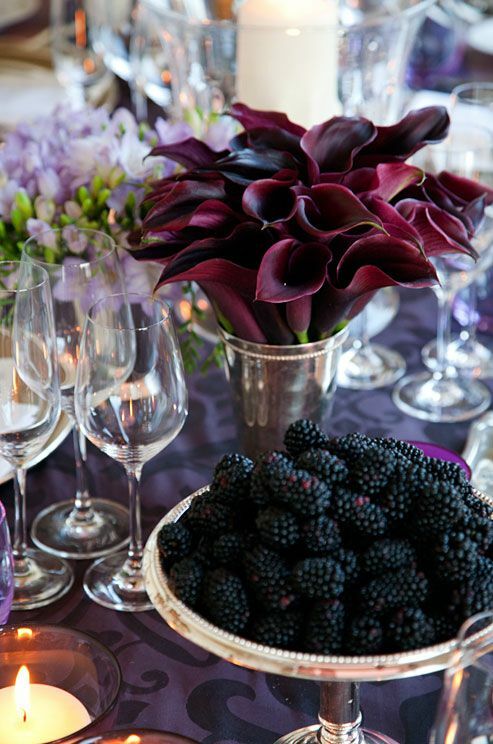 Crimson, purple, red and white – or even a mix of them. 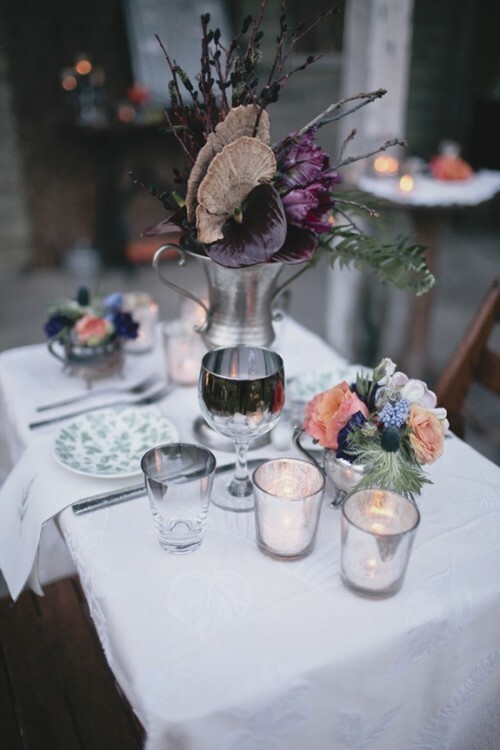 Add candles, autumn leaves and some chic lanterns – and voila! 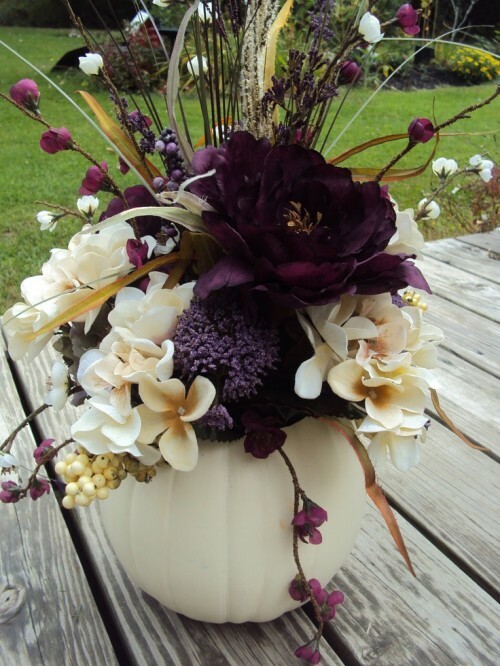 A chic centerpiece is ready! 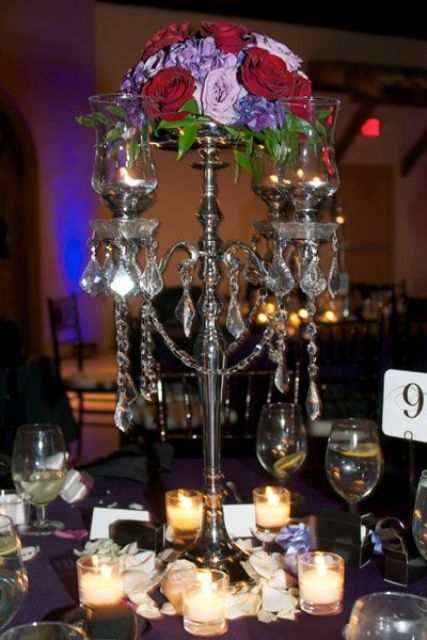 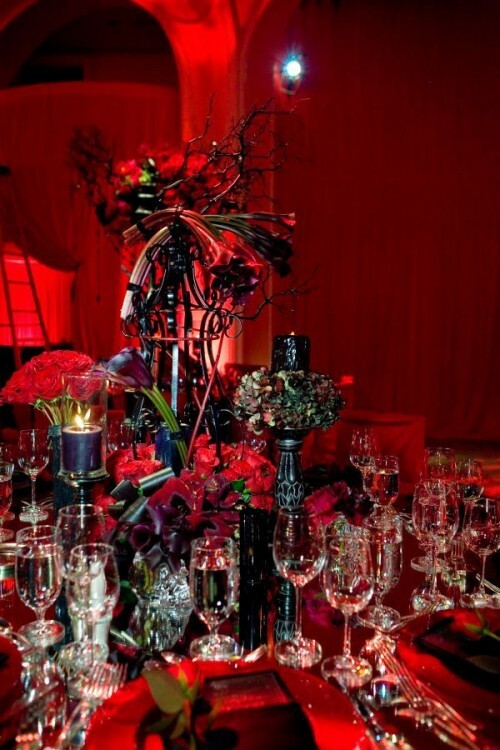 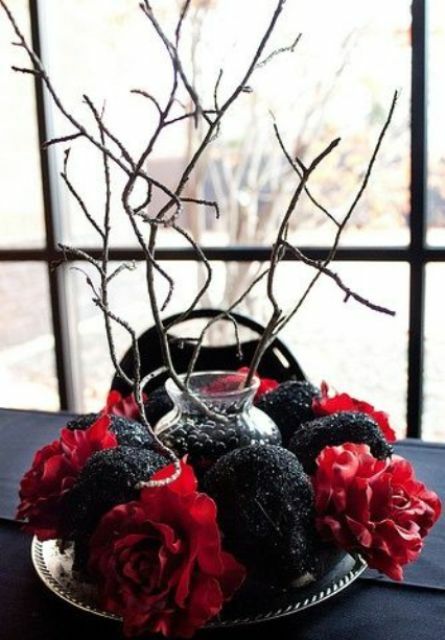 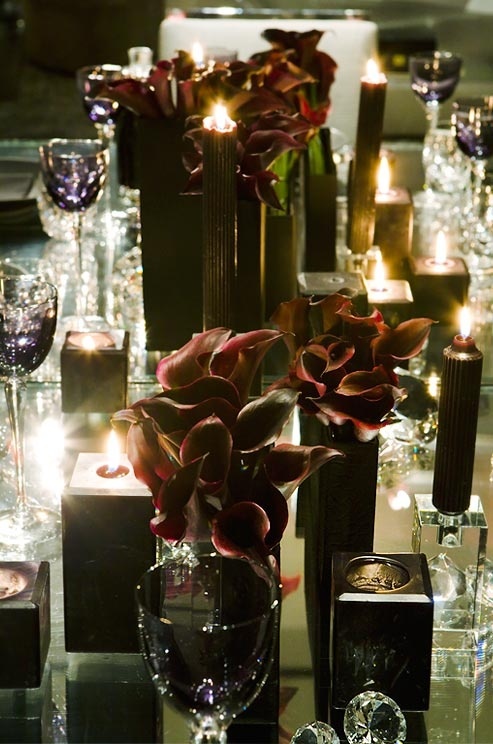 Below you’ll find some cool examples of such centerpieces, get inspired!